On this page, you can find information about Field Trips, Living History and Gallery Guide Activities and Frequently Asked Questions. The new museum field trip experience is an immersive, interactive, and hands-on experience. It is designed to enhance, and reinforce the learning that is already happening in the classroom. Most importantly, we want students to embrace the world of self-discovery museums provide and inspire them to build a better state and nation. There is no better way to learn Tennessee history than to experience it! We invite you to create your own Tennessee learning adventure with a trip to Nashville and the Tennessee State Museum and State Capitol. A visit to the Tennessee State Museum and Capitol is free to all. However, you must reserve a specific date and time through the museum’s scheduling office AND obtain a confirmation letter from the museum. There are two ways to request a field trip to the Tennessee State Museum. You may request online by clicking here to complete the reservation form. You may also call our scheduling desk at 615-741-0830. Our museum scheduling coordinator will work to find the best available date and time for your group. You have booked your trip, got your buses, received your confirmation letter and are ready for the big day. Now what? Upon arriving at the school bus drop off located on Rosa Parks Blvd., teachers and bus drivers will be greeted by one of our friendly education team members. Museum staff will ask to see your confirmation letter to ensure that your group is where it needs to be. Next, students will safely off load and enter the museum where museum staff will take them to the Education Assembly Area to receive instructions about their visit, drop off personal items, and if necessary, store lunches. Once students have received their orientation, they will be sent off to explore the museum galleries. Living History and Gallery Guides at TSM: Throughout your visit living history characters and gallery guides will bring the museum to life. As students explore the time tunnel and exhibits they will run into different characters from Tennessee’s past. They may interview a Civil War doctor, help a suffragist prepare her speech, or even meet a famous figure like Cornelia Fort. Through the living history experience, students will explore and discover the past while also being challenged to think critically about historical context, primary sources, and multiple perspectives of the past. Also, trained museum educators called gallery guides will be positioned throughout your field trip experience. Gallery guides are there to help students engage the exhibits in a deeper, more meaningful way. They may share a specific story, present a hands-on learning activity, or pose questions that help spark a debate. 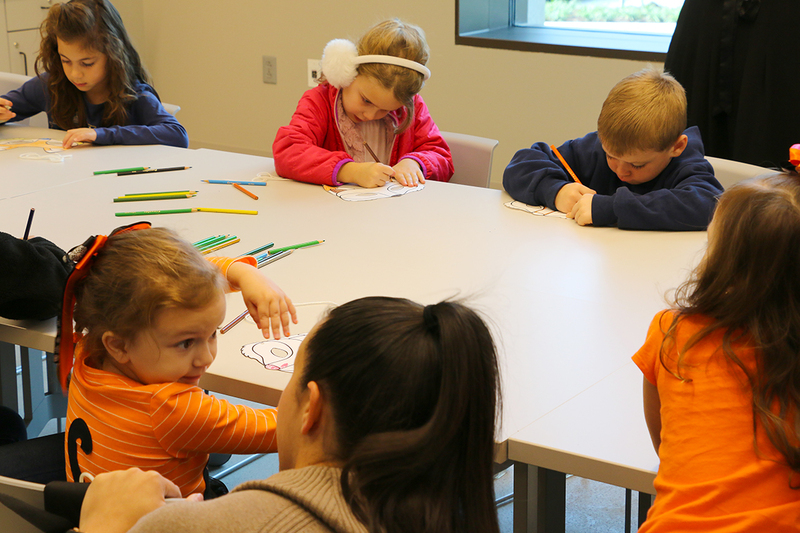 All educational programs at the museum are strictly aligned to the Tennessee State Department of Education’s State Social Studies Standards. Artifact Petting Zoo: Learn more about archaeology and pre-historic Tennessee through this hands-on program where students will actually get to touch real artifacts. Ann Cockrill: Learn more about one of Tennessee’s first teachers, Ann Cockrill, and her journey to help found Nashville in the 18th century as part of the Donelson Party. Long Hunter: Learn more about how the Long Hunters of Tennessee lived, hunted, and survived on the American frontier of the 18th century. Print Shop: Learn more about printing in the 18th century through our very own functioning print shop and printing press! Civil War Medicine: Learn more about medicine during the Civil War and how thousands of surgeons, doctors, and nurses fought to save the lives of soldiers on both sides. Civil War Soldier: Learn more about the everyday life of the Civil War soldier and how thousands of troops fought disease, hunger, and boredom in addition to the enemy. WWI Doughboy: Learn more about the life of the American Doughboy in the trenches of Europe during World War I.
Cornelia Fort: Learn more about Tennessee’s very own Cornelia Fort and her experiences as a flight instructor and pilot during the Battle of Pearl Harbor and World War II. Tennessee Suffragist: Learn more about the fight for Women’s Suffrage in the United States and how Tennessee became the “Perfect 36th” state necessary to ratify the 19th Amendment in the summer of 1920. State Capitol Tour is approximately 45 minutes. Field Trip visits to the State Museum generally last from 1-2 hours. A self-guided tour of the Military Branch generally lasts 45 minutes. If your group is planning on visiting the Capitol or the Military Branch and the State Museum, please allow for 15 minutes travel time between sites. Currently, our buses will continue to park on Martin Luther King Blvd. (formerly known as Charlotte Avenue) between 6th and 7th Avenue in front of the Tennessee State Capitol. Bus drivers will drop students off and then return to the designated parking area until it is time to pick up kids at the museum. Do buses need a permit to park in front of the Capitol? Yes, all buses parking on Martin Luther King Blvd. (Charlotte Avenue) MUST have a Metro Parking Permit. However, museum staff will acquire that permit from Metro and email that to the teacher in their pre-arrival packet. Can chaperones park on the street with the buses? No, private vehicles may not park on the street. Chaperones can either park in parking areas around the capitol or they may park at the museum. Groups can eat in the designated lunch area outside on the grounds of the museum or they may eat on the Bicentennial Mall State Park lawn. Can we eat lunch at Farmer’s Market? Student groups may NOT eat in the farmer market food court area or outdoor barns without the approval of the Farmer’s Market. Only groups that pre-purchase boxed lunches at the Farmer’s Market may eat on the premises.